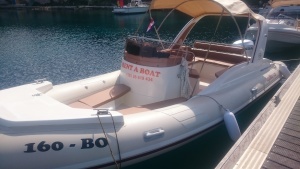 Great speed boat for day trip! 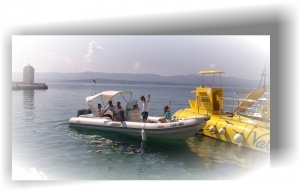 Fantastic speed boat for great distance for visiting far distance like island Hvar, Palmizana, island Vis, Blue cave…. Perfect for few people that want lot of space, it can take up to 7 persons! 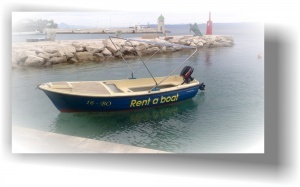 We offer discount on 3 or 7 days rental! Petrol is not included in price. 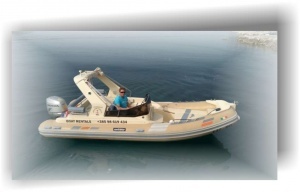 Foe renting this boat you will need valied boat licence and some experience. 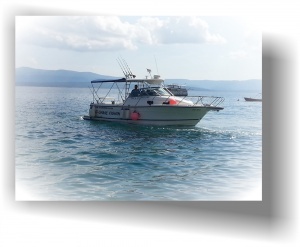 For renting this boat together with our accommodation we offer special deals! Please contact us for more info! 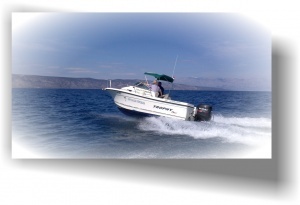 For people who like speed and in short time visit lot of destination. Valied boat licence is is required! Multi day rental is from 09:00h on the first day until 18:00h on the last day (or by agreement). One day rental is from 9:00h to 18:00h (or by agreement). 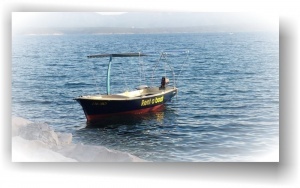 The boat and all passengers on board are insured. 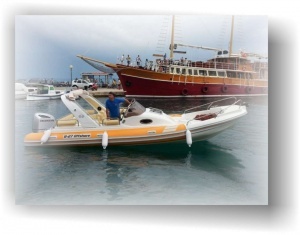 Fuel, skipper and port tax are not included in price.